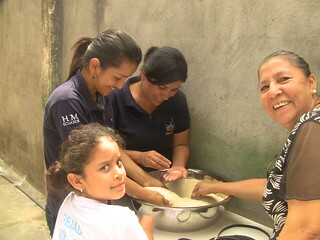 On Saturday December 17, 2016, the Home of the Mother inaugurated the first Children’s Soup Kitchen in Guayaquil (Ecuador). There is a community of Servant Priests and Brothers and one of Servant Sisters, along with a large group of young people and families of the Home in that city. The Trinitarian Island is a poor area that is very needy and where drug consummation is high. Children and young people spend most of the day on the streets. We have been able to complete this project thanks to a group of parish missionaries and to the generosity of the Pastor, Fr. José. 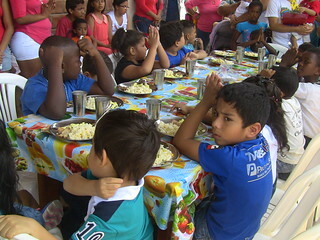 The installations, the cooks and the children received a blessing on the day of the inauguration. This project is not only about giving these children and young people material nourishment, but spiritual nourishment as well. 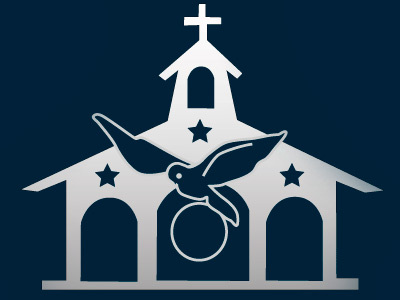 Our idea is to do different activities every week to help them grow closer to God and live a truly Christian life: catechism class, crafts, visits to the Blessed Sacrament, especially on Thursdays when there is Exposition in the church, etc. The Servant Sisters, young people, and adults of the Home of the Mother prepared a Christmas party for the children in the soup kitchen on Friday, December 23, 2016. The week beforehand, some of the girls had been wrapping gifts, filling little bags with candy, preparing decorations and practicing Christmas carols with the sisters at their house. There were about fifty of us who went to the soup kitchen and we did everything that was possible so that the children could live a true Christmas. We took them to the chapel and brought in the image of Baby Jesus. Later we decorated, sang Christmas carols, and helped serve their special Christmas meal. Finally, we went to the chapel again. We gave them their presents and a small Baby Jesus for each one of them, so that in these days they can pray in front of the image and adore Jesus in their hearts. From here we would like to thank, first of all, Our Lord and Our Lady, and then everyone who has made and makes this soup kitchen possible. 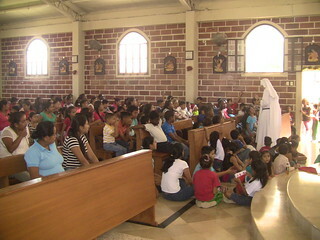 It is a way for us to make God’s love reach these children and young people by means of the Church.